Andrew Heilprin a.k.a. Blue-eyed Son was born in the Midwest –– Wisconsin to be precise –– but he did his growing up in sunny Santa Barbara, California. After graduation from college and in between surfing excursions to exotic locales around the globe, he worked odd jobs and eventually formed the “sonic surf smoke punk” band 40 Watt Domain with a few friends. Domain got fairly close to breaking big, releasing the album Short Wave in 2000 (on the Cultivate label; reissued via Eenie Meenie sub-label Gaki in 2004), playing the Vans Warped Tour and headlining at CBGB’s. Then it all fell apart following a hellacious press- and major-label-packed CMJ show where the band blew out the bass rig and spent the remainder of their set hopelessly trying to regain momentum. During 40 Watt’s seven-year span, the songwriting had basically fallen into Heilprin’s lap, and he’d accumulated a lot of tunes. All along he’d made raising the bar his songwriting goal, inspired in part by Elliott Smith’s very personal ways of composing a song. The needlessly humble Blue-eyed Son also credits alt-rock artists such as Wilco, Grandaddy or Flaming Lips for their quirky ways of making a song sound familiar yet strikingly out of the ordinary. An idiosyncratic charm characterized Blue-eyed Son’s 2004 debut West of Lincoln on Eenie Meenie. 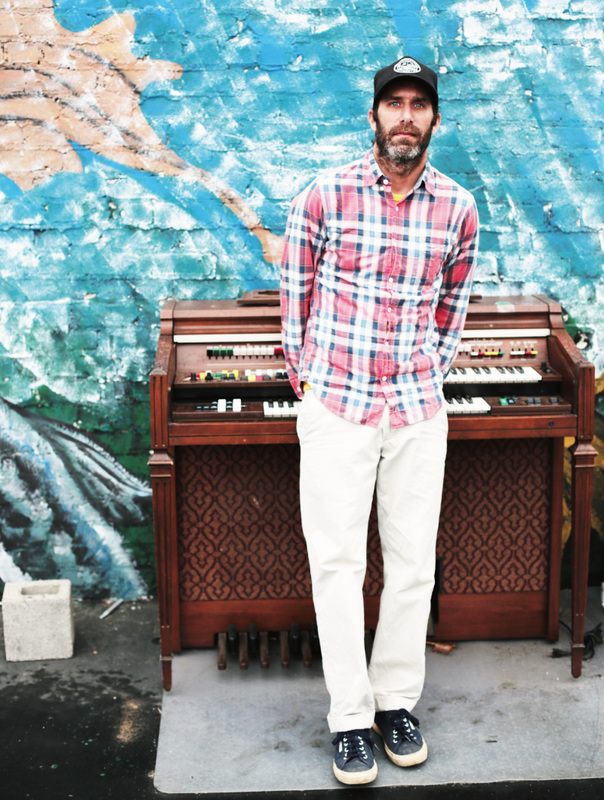 Recorded with drummer Scott McPherson (M. Ward, Elliott Smith, She and Him), and helmed by producer Koool G Murder (Eels, Donavan Frankenreiter), with engineering and production on one song by Doug Boehm (The Vines, Elliott Smith), Lincoln is a sterling batch of alt-Top 10 hits that smeared the lines between whisper-sung melancholia à la Elliott Smith and hard-edged poppy fare. The album –– a few of whose tracks were licensed for TV shows including Grey’s Anatomy and Weeds –– was an object lesson in how to take the pop template and throw genuine personality into it, with ambitiously crafted songs that were undeniably catchy but swam below the shimmering surface in decidedly head-turning ways. Following the release of West of Lincoln, Blue-eyed Son toured Australia, performed at KCRW’s Next Up at Santa Monica Pier, at an Ocean Conservancy event in Alaska and at the Summer Sonic fest in Japan. Then he took some time off from the music biz to work as a film editor and to further develop his songwriting skills –– and to do a little surfing, of course. But now our prodigal boy has returned with a new EP called Shadows on the Son. Produced by Australian singer-songwriter Matt Ellis and engineered by Ronan Murphy (King Crimson, Terry Bozzio, Nels Cline), Shadows on the Son boasts five bar-raising new ways to soar with a song, including the loping strut of “All Went Black,” whose trumpet and chimes shine luminous rays onto a New Orleans-like carnival of sound. The quickstepping “Good Men Die Like Dogs” (“I remember the day John Lennon died”) shuffles on with countrified banjos and curly-cueing electric guitars. The anthemic “We’re Fighting a War” is a cinematic melting pot of epic string swells, marching drums and soaring dramatic arc. The EP features a superb cast of players including Goldenboy multi-instrumentalist Shon Sullivan, trumpet man Danny Levin (Regina Spektor, Snoop Dogg) and banjo master Willie Watson (Old Crow Medicine Show, Watkins Family Hour). New Music: Song For August, “Photograph”. New Music: Song For July, “Don’t Love The World Too Much”. New Music: Song for June, “No One Gets Out Alive”. New Music: Song For April, “Flat Spell”. New Music: Song For March, “Ode To Modesto”. New Music: Song for February, “Ocean Roars”.